on any given day the traffic in Bangalore is much worse. After this workshop i intend to a do a photo essay on the traffic . Since i commute by auto every day it touches my life every day.chaotic,polluted,hot tempered, anxious and so on. Maybe Danesh took this on a Sunday afternoon that the chaos on roads were less.. 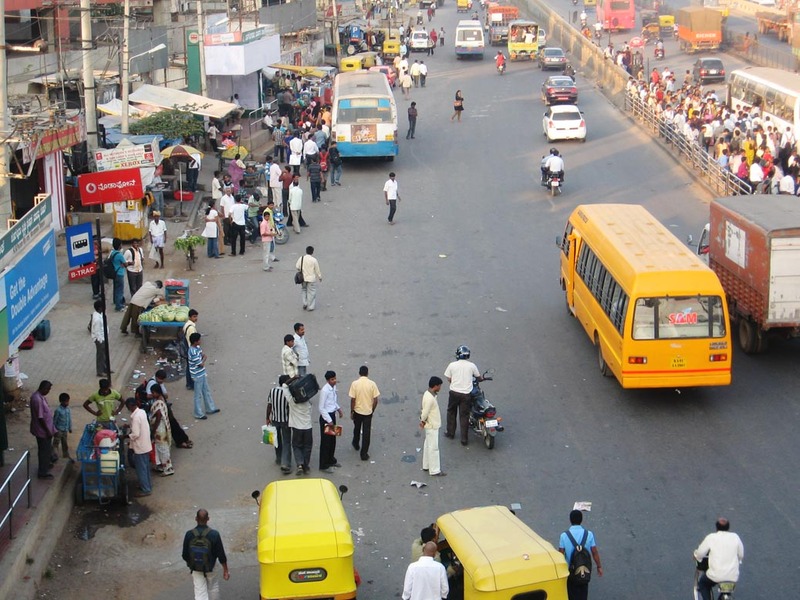 This entry was posted in photographs and tagged APD, Bangalore, street, students work, visual content. Bookmark the permalink.